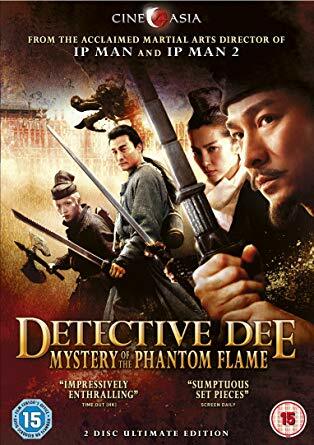 Director Tsui Hark has been absent from the screens for a while and many thought his best days were behind him, but with the release of Detective Dee -Mystery of the Phantom Flame it sees him back on form and shows what a great director he can be. 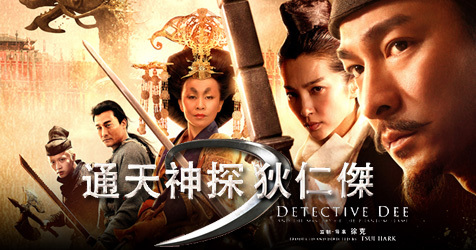 When a series of mysterious murders prevents the inauguration of China’s first Empress, Detective Dee, the greatest investigative mind of his generation, is brought back from exile to embark on a manhunt that will explore the reasons for the strange deaths and uncover a plot that goes right to the top. Firstly the film is beautiful to look at, the set design and costumes are all first-rate even if CGI is used extensively to achieve the look. The actors are very good in the roles, Andy Lau again gives a great performance as Detective Dee and also adapts himself very well in the action scenes, choreographed by the great Sammo Hung. Also, there are very good performances by Tony Leung and Li Bingbing in a role not too dissimilar to her one in the Forbidden Kingdom. The first half is the best as far as action goes, the finale tends to overdo it on the CGI for my taste which takes you out of the movie slightly. The story is engaging, someone said it reminded them of a Chinese Sherlock Holmes / Miss Marples and I can see why. Overall a very good film and a return to form for Tsui Hark. This could well turn into a series of Detective Dee films, and if it does I would look forward to the next instalment with great anticipation. The Blu ray from Cine Asia is stunning, probably one of the best transfers they have done yet, the gorgeous 1080p transfer really shines, blacks are solid and colours really stand out. Audio is served by a very impressive Mandarin DTS Master Audio 5.1 soundtrack, English subtitles are clear and legible with no grammatical errors. Extras as aways with Cine Asia are plentiful, There is the usual information-packed audio commentary by Bey Logan, Interview Gallery with Andy Lau, Tsui Hark, Sammo Hung, Carina Lau and others, Behind The Scenes footage and a very nice Intro Into Cine Asia- a promo piece with great highlights from CineAsia’s catalog and various short comments from notable critics and Asian cinema fans. 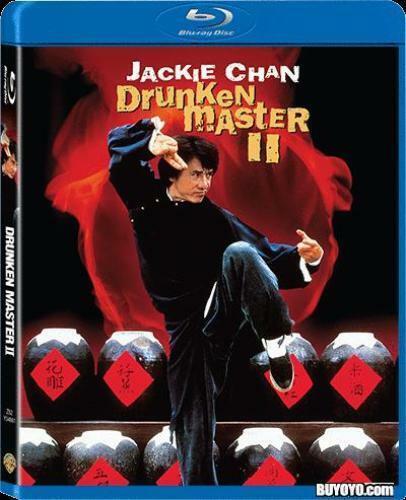 (NOTE: This Blu Ray is REGION FREE but the extras are in PAL format). Overall a good film and let’s hope director Tsui Hark can continue to give us more classic movies in the future. The disc gets a 5 out of 5 for presentation and is highly recommended.